Aluminum plate, and copper bolt and nut are used for outdoor roofing. 1. 10 points - Aluminum plate, and copper bolt and nut are used for outdoor roofing. They are under frequent loading from wind, temperature, etc. 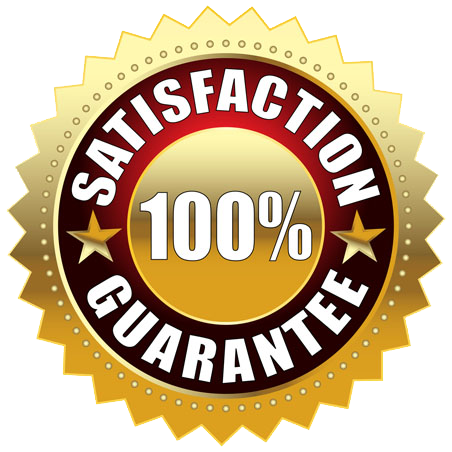 Explain what kind of corrosions can happen and how they might be prevented. 2. The records for polymers in CES EduPack include the % filler as a parameter. 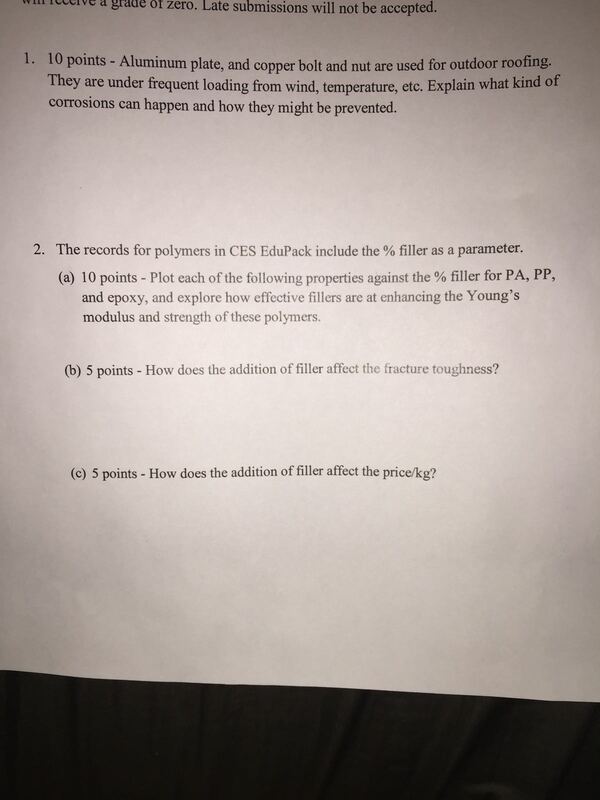 (a) 10 points - Plot each of the following properties against the % filler for PA, PP, and epoxy, and explore how effective fillers are at enhancing the Young's modulus and strength of these polymers. (b) 5 points - How does the addition of filler affect the fracture toughness? (c) 5 points - How does the addition of filler affect the price/kg? (a) 5 points - The constitution point for a Pb-25 wt% Sn alloy at 250 °C lies in a two-phase field. Construct a tie-line on the figure and list the two phases and their compositions. (b) 5 points - The alloy is slowly cooled. Identify the phases and their compositions at 150 C.
(c) 10 points - During slow cooling from 250 °C to 150 °C the composition of the alloy stays the same. How can this be maintained as the compositions of the phases change? 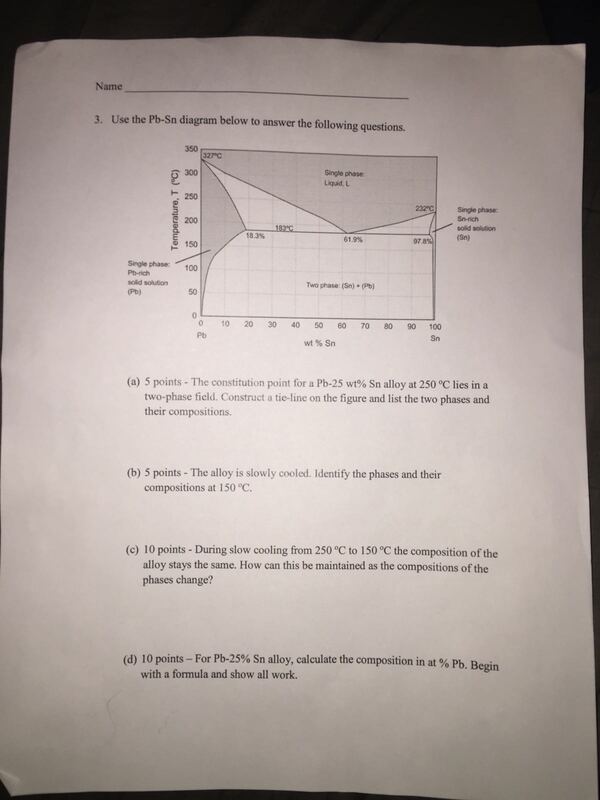 (d) 10 points — For Pb-25% Sn alloy, calculate the composition in at % Pb. Begin with a formula and show all work.